Huawei’s Nova 4 smartphone is all set to launch on December 17th and ahead of its launch, the smartphone has been subject to multiple leaks. However, up until now, only the design and camera of the phone were leaked. 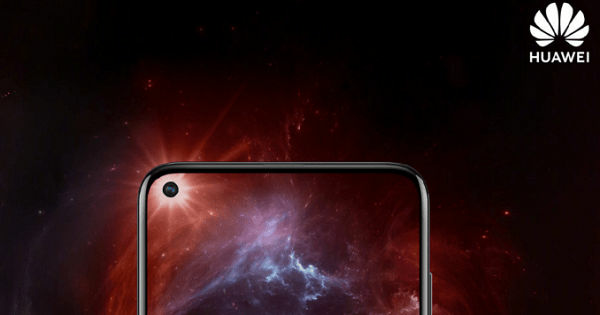 Now the full specifications of the Nova 3 have been leaked, revealing all exterior and interior details of the smartphone. Apart from the fact that the phone will feature an in-screen selfie camera and a 48MP rear camera, not much was known about the device till now. Now, the Huawei Nova 4’s specifications have been leaked on Chinese social networking site Weibo. The leak reveals that the smartphone will be available in two variants- standard and high. Both variants will have pretty much the same specifications except that the higher variant of the two will come with the much talked about 48MP rear camera. Other than that, both variants will carry the same inbuilt storage, RAM and processor. The Huawei Nova 4 will come with a 6.4-inch full HD+ display with a resolution of 2310 x 1080 pixels. There will be no notch on the phone, as seen in leaked pictures, as the front camera will be drilled into the top left corner of the screen. A Kirin 970 chipset will power the Huawei Nova 4, the same as its predecessor Huawei Nova 3 which was launched July this year. The phone will also carry Huawei’s GPU Turbo technology for accelerated GPU performance. Further, the Huawei Nova will come with 8GB of RAM with 128GB storage; the leak did not reveal if the device will feature a microSD card slot. The Huawei Nova 4 will feature the same 3,750mAh battery as the Nova 3, with 18W fast charging. Further, the smartphone will come with 4G VoLTE connectivity. The in-screen 25MP front camera of the Huawei Nova 4 will come with AI beautification features. A triple rear camera setup will grace the Huawei Nova 4, wherein the standard variant of the phone will come with 20MP +16MP +2MP cameras and for the higher variant, the 20MP sensor will be replaced with a 48MP one. The smartphone will be available in four colour gradient variants: Fritillaria White, Bright Black, Suyin Blue, and Honey Red. There is no information on the pricing of the Huawei Nova 4 yet.